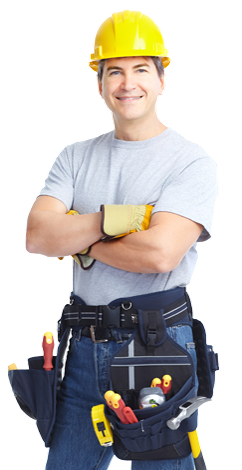 As you venture into the sometimes unfamiliar process of home repair, we realize that this can be an overwhelming time. That’s why we’re here, let us be the middle man between you and your insurance company. We want to help guide you through this process by using our years of experience in the insurance restoration field. We service Cuyahoga, Lorain, Huron, Summit, Medina and portions of Lake, Geauga and Portage counties. The entire staff at Construction Zone realizes that it’s not just a house that we’re working on, It’s your home. We’re not completely satisfied until your home or property is completely restored to your satisfaction. 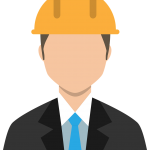 We believe that handling your job quickly, professionally, and completely is the way all jobs should be handled. We treat every job as if it’s the most important project we have ever undertaken. This can be an overwhelming time. That’s why we’re here, let us be the middle man between you and your insurance company. We want to help guide you through this process by using our years of experience in the insurance restoration field. Construction Zone was amazing throughout the entire process. Their office manager was kind and informative, the estimator was thorough and answered all of my questions, the men working at my home were hard workers and did an excellent job! I don’t have enough great things to say about this company! Construction Zone who turned a disaster into a miracle!! Excellent customer service!! Thank you so much!!! Russ & Crew (Construction Zone) Thank you for an awesome job! Everyone was great to work with-totally professional! Construction Zone became the silver lining in such a crazy turn of events! While away on vacation, we were faced with a second floor house flood that left our home a complete disaster! From the time that Russ showed up to our door, he was courteous and professional. He walked us through the entire process and left us clear on what to expect. The crew worked diligently on our home in a concerted fashion that worked in perfect harmony. We were impressed with the clean manor in which they left our home daily. We were delighted with the quality of work and craftsmanship displayed by the crew. They were very personable and trustworthy. We were pleased to find out that the workers were actual Construction Zone staff members. This allowed Construction Zone to have very timely and organized work schedules, which made the work get completed faster. Our house needed a complete overhaul. They replaced walls and ceilings, hardwood, vinyl and ceramic floors, completed electrical and code upgrades, remodeled the things on our “wish list,” painted, installed an exterior door, and even rebuilt our fireplace! They went above and beyond to make sure that we were included in any decisions that were necessary to be made. If ever we had a question, we were able to reach someone by a simple telephone call. They would always answer your calls. If you left a message after hours, they would return the call promptly. Construction Zone staff worked well with us through email to tie up any of our additional questions in a timely fashion. We felt secure because we had a thorough agreement in writing. The staff offered good advise as the experts in their area. Sometimes, as homeowners we had an idea that would not always make the best choice. The staff was educated and easy to talk to. They helped us to understand the pros and cons of our decisions. We cannot express how blessed we felt to have Construction Zone as our contractor. We would recommend them for any job, big or small! Construction Zone made this experience pleasant and our home looks AMAZING!!!!!!!!! Thanks to each and everyone who worked on our home, including the office staff. Every brush stroke, every nail and every bit of sweat is sooooooo appreciated! Construction Zone- Thank you for getting my basement back to normal. Scott and Brian did an EXCELLENT job. I’m very pleased and happy with it. They’re the best workers and very polite. I will recommend Construction Zone to all my friends. Again, THANKS for a job well done. We had very heavy rain in May, 2014 and ours was one of the many houses that got flooded. Construction Zone did our restoration work. They did an excellent job. They were very professional and completed the work very timely. They were happy to make changes and kept insurance settlement in mind. I would recommend them. Construction Zone, the contractors that dried out my house, repaired the damages, and cleaned up the mess, were absolutely top notch. Everything was done to very high standards, and the individuals I came into contact with were so helpful to me. They were very professional, answered all my calls and followed up with me every step of the way, which made this transition so much easier.